Welcome to Embodi3D! 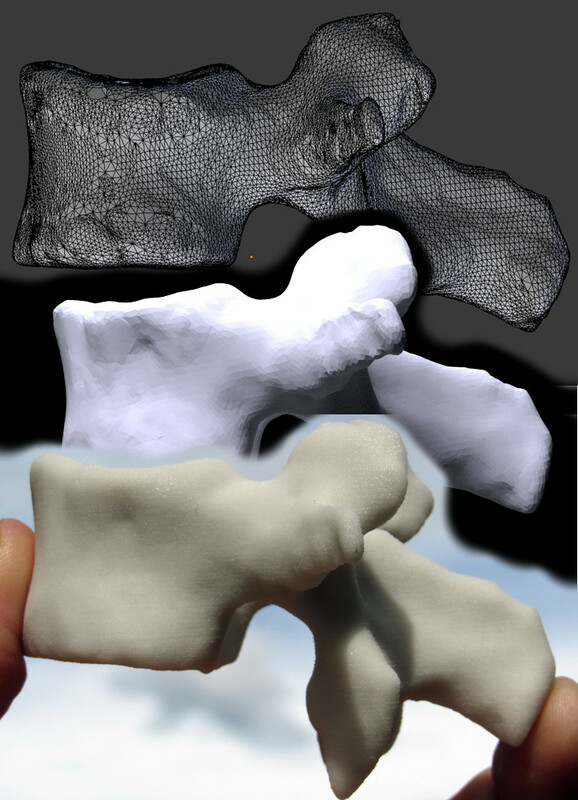 Embodi3D is the web's first online community dedicated to biomedical 3-D printing. Learn about the uses and potential of 3-D printing in biomedical sciences by reading the blogs or downloading a printable file. Contribute to the discussion by posting a comment in the blogs or forums. Upload your 3-D printing creations to the File Vault. If you have a lot to say, start your own blog. Help the world to realize the awesome potential of biomedical 3-D printing. Welcome to the community! Register now and join us! Image: A human lumbar vertebral body, from digital representation to physical object created with 3D printing. Hi. I just joined and registered as a new user. How does a user start a new blog? Is that a standard privilege for new users, or an upgraded privilege for advanced users? Thanks!